Want to finish off an excellent meal with a hearty dessert but you’re intolerant to gluten? Don’t worry, we’ve got you covered. We have gluten free dessert sauce that is guaranteed to satisfy your craving for something sweet and comforting. This sauce has a flavour combination that is just heavenly! 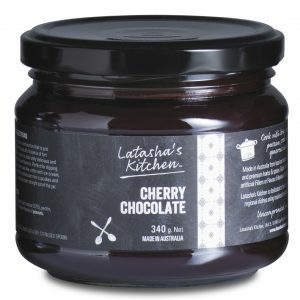 Made with a beautiful balance of tart cherries and dark cocoa it is absolutely delicious and bursting with natural pure flavours. Perfect for dipping fresh fruit, drizzled over pancakes, eaten with ice cream, cheesecake, or lightly drizzled over mini cupcakes and little fruit tarts or simply eaten straight out of the jar.